The Crawford Fund’s prestigious Derek Tribe Award is made biennially to a citizen of a developing country in recognition of their contributions to research in agriculture or natural resource management in a developing country. 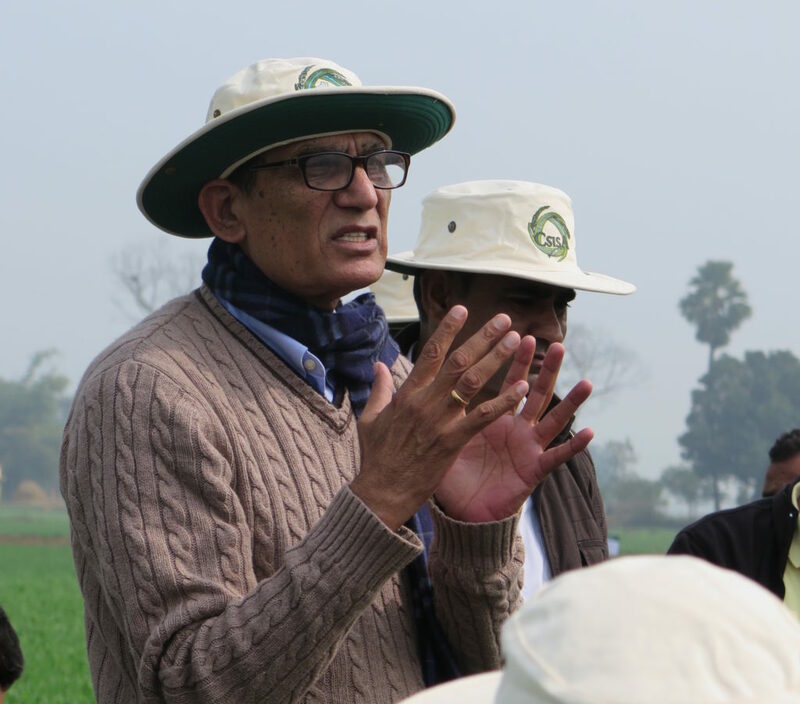 We are pleased to announce that the winner of the Derek Tribe Award for 2015 is Dr R. K. Malik, a Senior Agronomist with the International Maize and Wheat Improvement Centre’s (CIMMYT) Sustainable Intensification Program based in Bihar, India. Dr Malik receives the 2015 Derek Tribe award for his outstanding contributions to making a food secure world by improving and sustaining the productivity of the rice-wheat system of the northwestern and eastern Indo-Gangetic Plains, and for positively impacting the livelihoods of millions of farmers in India. For Dr Malik’s full citation, click here. I would like to thank the board of Crawford Fund for approving my nomination for Derek Tribe Award. Receiving this award is a great honour for me, my family, my colleagues in the International Wheat and Maize Improvement Center (CIMMYT), CCS Haryana Agricultural University, Hisar, India, the University of Adelaide, Australia, ACIAR and the farmers in India. My special thanks to Andrew McDonald, Cynthia Mathys and Virender Kumar, the team CSISA for making this to happen. Managing the herbicide resistance in early 1990s was a difficult task but the inspirations from Peter Hobbs and Tony Fischer during those difficult years helped our team to find solutions. The zero tillage that got evolved out of that work has made the solution more sustainable. I thank one and all. As part of the Derek Tribe Award, each recipient comes to Australia for two weeks to visit relevant agricultural centres. The intention is that, as a leader of research in their field, they will contribute to enhancing linkages between the recipient’s home institution with similar bodies in Australia. Keep an eye out on our website for news of Dr Malik’s impending visit. To view CIMMYT’s press release about this year’s award recipient, ‘CIMMYT scientist R.K. Malik wins Crawford Fund’s Derek Tribe Award’, click here.